Disability is an issue that is starting to gain a little more coverage in YA fiction of late. Of course, the topic of disability and difference is always of great value for young people, giving voice to those living with disability, raising awareness for those who do not, and of course, celebrating diversity in society. 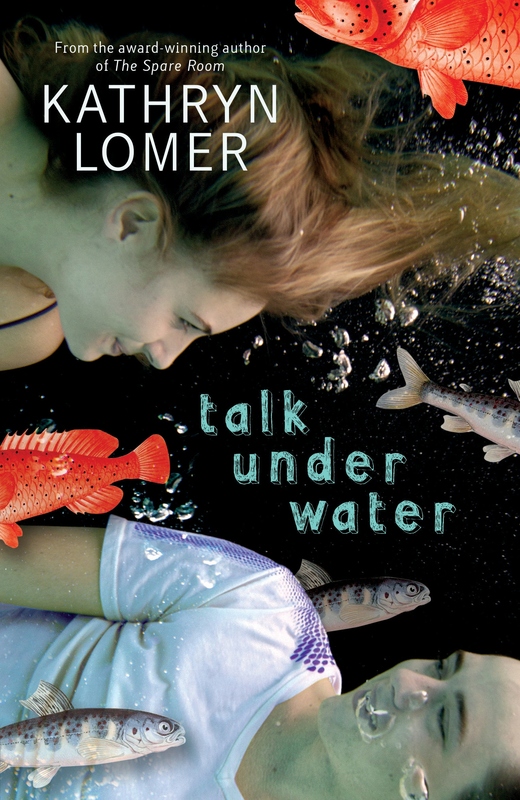 Kathryn Lomer’s novel Talk Under Water tells the story of Summer Rainbird, a deaf girl, and Will Lane, the boy she meets online. Told in alternating narration, encompassing a range of text types that includes prose, email, text messaging and letters; the pair form a friendship which will inevitably be challenged. The strength of Lomer’s novel is the manner with which she breaks open the topic of language, inviting her audience to engage with and explore the complexity of how we as humans communicate and make meaning. A few times during the story I was even reminded of Malouf’s novella masterpiece An Imaginary Life (1978). By the conclusion of the story, I certainly had a deepened appreciation of Auslan and I anticipate that many of Lomer’s readers will feel equally inspired to independently investigate the topic further. By her own admission, in the novel’s afterward, Lomer explains her choice to retain some errors of grammar in Summer’s narration for the purpose of “reflect[ing] the reality of anyone, no matter how fluent, writing in a second language.” I also noted that throughout the text she made the choice to eliminate speech marks from her writing entirely. This was, no doubt, a nod to the visual/spatial language of the deaf and, while I appreciate what she was suggesting, I found this quite irritating and excessive. Talk Under Water will find its audience comfortably in the upper end of the middle years. There is a fleeting reference to sexual intimacy (not that any occurs in the story), and this, along with the age of the protagonists and the complexity of themes, situates it well for classroom study from grade 9 or 10. Similarly, the text will complement a range of texts, pairing well with Malouf’s novel (as mentioned earlier), but also for a closer examination of disability, R.J Palacio’s Wonder (2012), or Cecily Anne Paterson’s Invisible (2013) or Invincible (2014). Kathryn Lomer’s Talk Under Water, in spite of being a quiet tale; is commended for its success in providing a deeply engaging story, whose highly appealing characters will resonate with and intimately speak to the hearts of its young adult audience.